GOTTA STAMP WITH SUZANNE JOHNSON: BLOG RE-LAUNCH WITH HOLIDAY SALE! 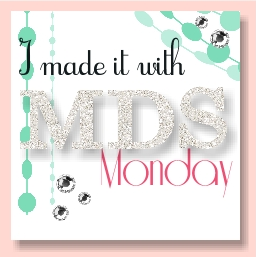 I apologize to my followers that my blog has been on hold for a year - just too much life stuff plus coping with many changes at Stampin' Up! 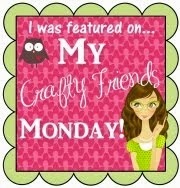 I am making a sincere effort to re-commit to posting regularly and with Stampin' Up! 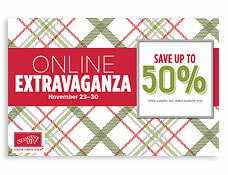 's annual Extravaganza sale about to start, now is the perfect time for my "Hello, I'm back!" post! The sale starts at midnight tonight, Mountain time! To see what will be on sale (including items only offered for 24 hours on the 23rd and 30th) and to plan your order, see the PDF list HERE! BUT WAIT! THERE'S MORE! Of course! The Holiday Catalog is out, and now we know what products will retire when the catalog ends on January 4, and what will continue to be available in the next Occasions spring catalog. The link to the Holiday Catalog PDF is in the column on the right (or contact me to request one). The retiring Holiday catalog products PDF list is HERE! I no longer have a separate website for accessing the online store. To order online, just go to the store at Stampinup.com (use the shopping button on the right column to go directly there) and just BE SURE TO PUT IN MY NAME - SUZANNE JOHNSON - AS YOUR PREFERRED DEMONSTRATOR to get you the preferred customer prices!